Science says that the geological wonder was formed by intense volcanic activity; Irish legends state that a giant by then name of Finn McCool built a bridge from Ireland to Scotland in order to fight his nemesis, Benandonner. When Finn McCool arrived in Scotland, he saw that his enemy was much larger than he was and ran back home. Benandonner heard McCool had arrived looking for him, and went to Ireland to fight him; upon arriving at his house, McCool’s wife wrapped him in a blanket like an infant, told Benandonner that Finn was out for the day, and showed him their “baby.” Benandonner became frightened, thinking if the “baby” was this large, Finn must be immensely larger. He then ran back to Scotland, ripping up the bridge as he went so Finn could not return. 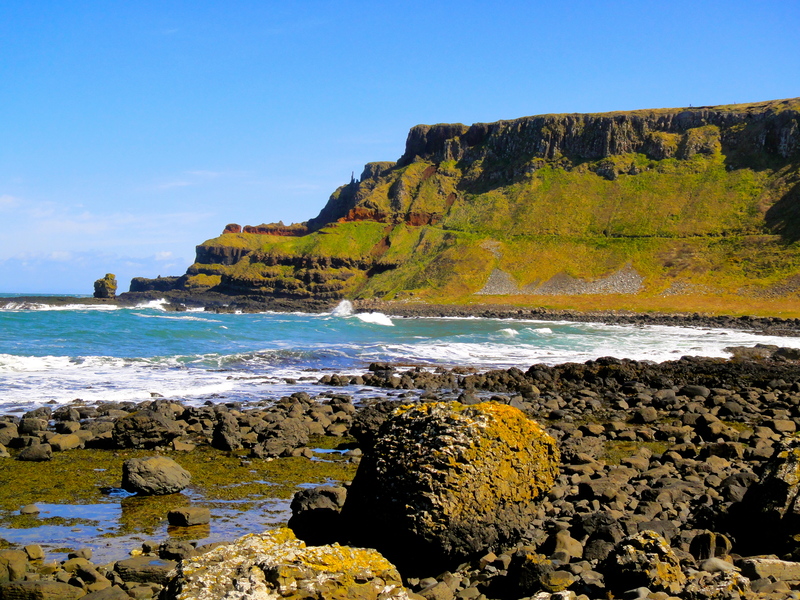 Today, the rock formations that are seen at the Causeway are said to be the remaining pieces of the bridge left behind from Benandonner. 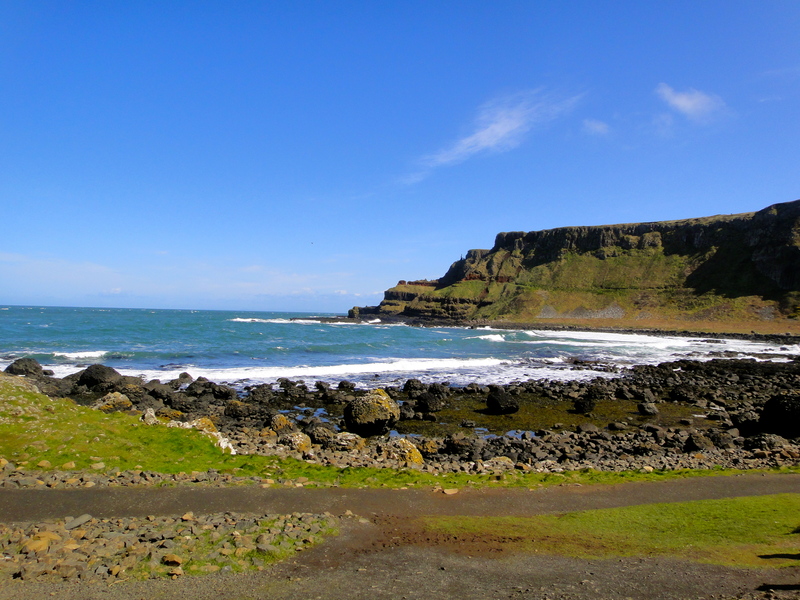 The same rock formations are found in Scotland, adding fire to this myth; on a clear day such as the one I visited on, you can actually see Scotland from the Causeway. 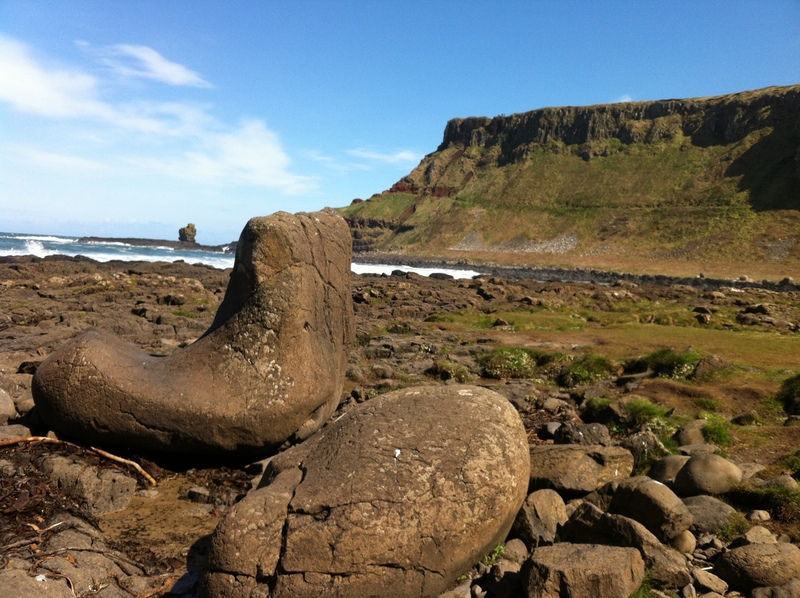 Different rock formations are said to be different objects, such as the giant’s boot and his camel. 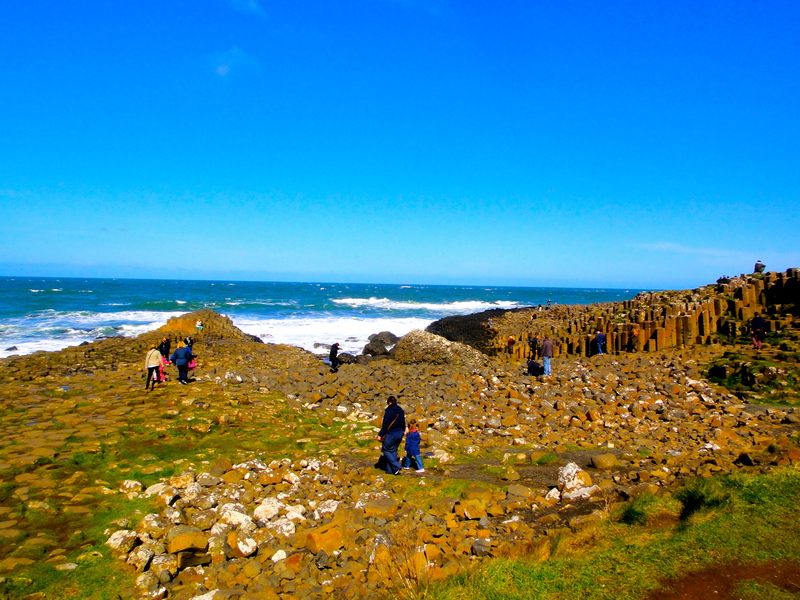 I spent a fair amount of time here at the Giant’s Causeway; it was the best weather I had the entire time I was in Ireland! 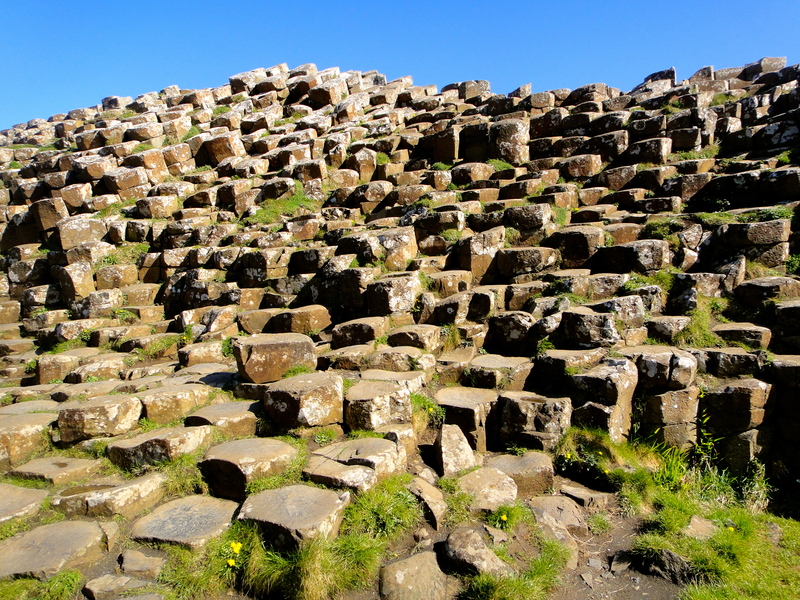 There are some hiking trails (easy to difficult) that go up the cliffs and give you different perspectives of the 40,000 interlocking basalt columns below, which I went halfway up. 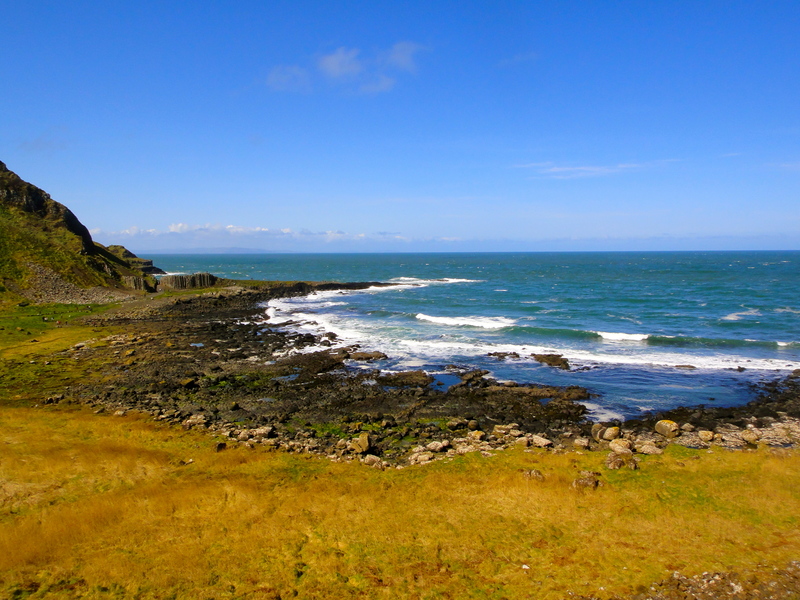 The geological wonder, which is absolutely stunning, is listed as a UNESCO World Heritage Site and one of my favorite spots in all of Ireland. 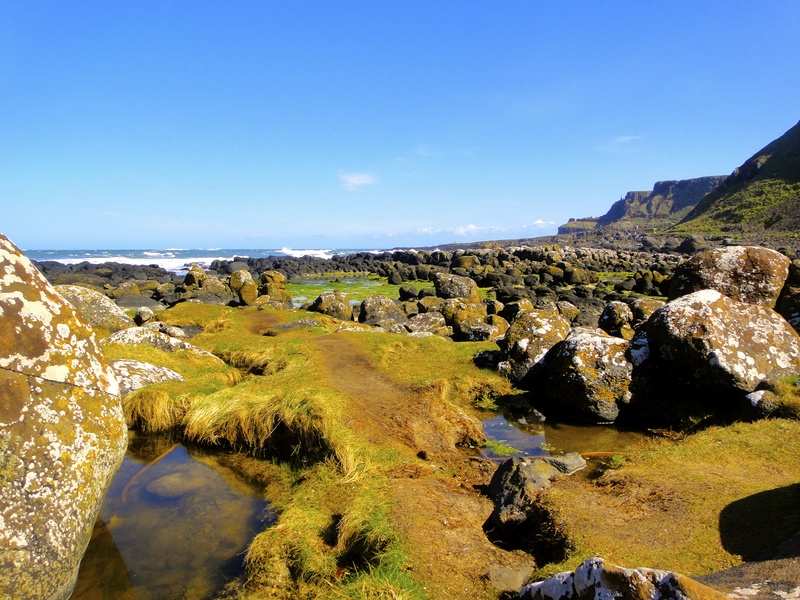 Volcanic activity or the reminisce of a giant’s bridge, whatever it is, the Giant’s Causeway is gorgeous and a must see for all! A HUGE thanks to Shamrocker Adventures for hosting my travels and allowing me to experience one of the most spectacular natural wonders I have ever seen! All opinions, like always, are my own. …And that’s definitely closer to home seeing as I’m in Los Angeles! You have taken some lovely photos of this beautiful spot, makes me interested to go visit. Wait…. you live there and haven’t been?! Yes, that’s right, but my excuse is that I live at the very other end of the country – at least 350 kms away!